Printhead is designed for use with Hewlett-Packard Designjet 10PS, 20PS, 50PS and 120 Series. HP dye-based black, light-dye-load colors and modular ink delivery system combine to produce the look and feel of offset prints. Wider print swath and 304 nozzles per printhead minimize wait time. 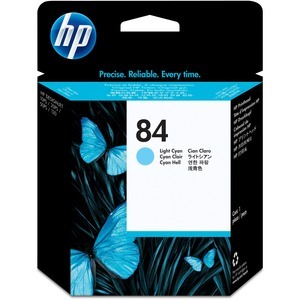 Print with ease using the HP 84 convenient modular printhead and ink cartridge system. Printhead is created to be used with HP 84 ink cartridge for color accuracy and photo-quality graphics at a cost savings.